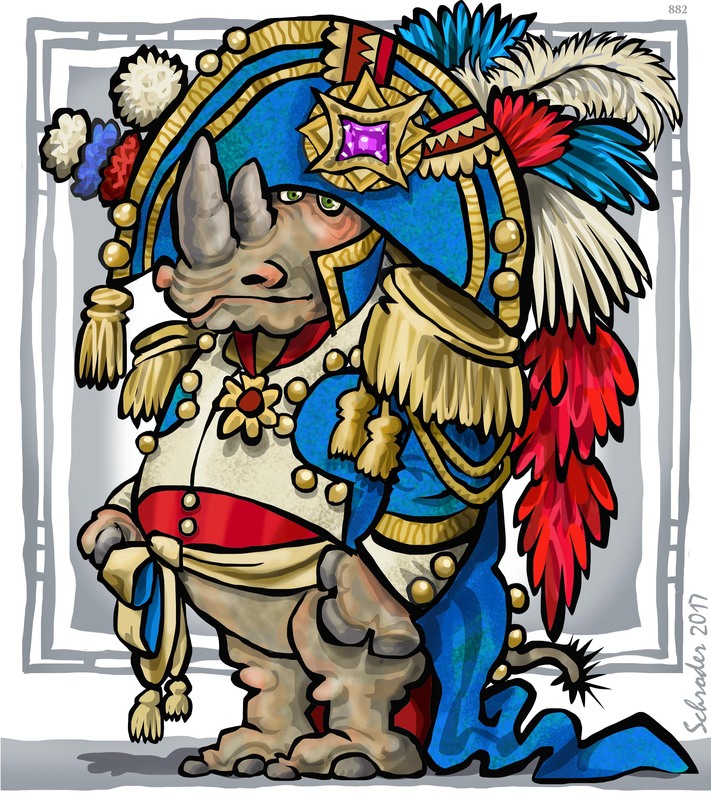 All Rhinos appreciate a snappy Uniform, and can mentally elaborate them to suit temperament and fashion. In our mind’s eye, We acquire a debonair je ne sais quoi. But Uniformity is a denial of all true Rhinotude. No two Rhinos are alike; We don’t aspire to it. Each of Us has gifts, evidence of Nature’s bounty. Rhinos have much in common among themselves. But when it comes to presentation, why indulge in duplication? Isn’t it fun to think about the days when officers provided their own uniforms. What an opportunity! Your Rhino closets are well filled indeed! Rhinos do have extensive wardrobes, and not a single hanger! Ponder *that*, Joan Crawford!